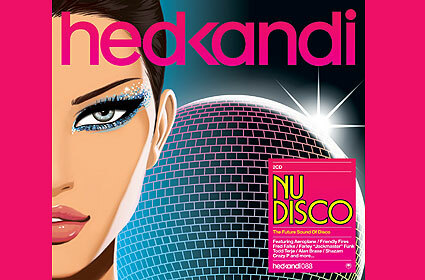 Hed Kandi unveils a contemporary take on a much-loved genre with a new compilation series presenting 21st century disco. The fascination with disco is long-established and Hed Kandi now move on to explore a new era with neon lippy and synthesised disco beats firmly in place. Artists featured on the album include Aeroplane, Friendly Fires, Fred Falke, Todd Terje, Alan Braxe, Tom Middleton, Farley Jackmaster Funk, and Crazy P Phonat. Hed Kandi�s Nu Disco is a seamless selection of ultra modern music inspired by one of the most influential music movements of our time. It�s a disco evolution.